It is no secret that low-income families have a hard time purchasing residential property in London. Prices in the nation’s capital have always been higher than most other regions of the UK, but never more out of reach than during the peak years between 2012 and 2016. Even with current prices that are down by as much as 25% over 2018, London’s prices are still high for low-income buyers. This is not to say that low-income families should not look. A combination of lower prices and more low-income mortgage options suggests that the market is looking up. This could be the year that things really start swinging in the favour of buyers. 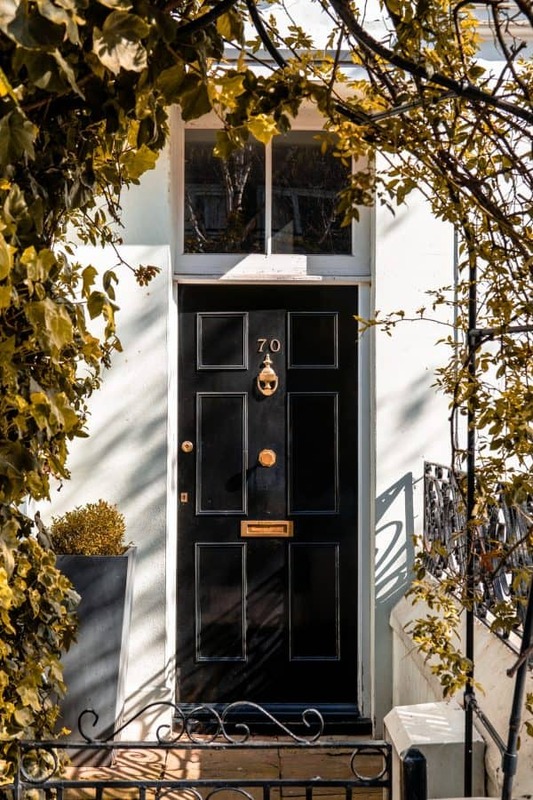 This could be the year that London home prices moderate to the point that buyers of all income levels can finally get on the property ladder. The key to buying in London is paring financial resources with the right mortgage. Finding the right mortgage really is a matter of eschewing banks and building societies in favour of certified mortgage brokers who have access to many more options from a variety of lenders. If anyone can find a low-income mortgage on a London property, it is a mortgage broker. A resurgent housing market in 2012 led to a steep climb in prices all across the country. Nowhere was the climb more pronounced than in London. Houses that were previously worth only a few hundred thousand pounds skyrocketed toward the £1 million mark. Houses previously valued at less than £350,000 took a steep upward trajectory as well. By contrast, the Guardian says that London property prices are down some 25% over the last 12 months. Houses in some of the most exclusive areas of the city have lost upwards of £500,000 in value. So what’s going on? There are two lines of thinking here. First, there are those who lay the entire blame at the feet of Brexit. They say that Brexit uncertainty has crippled the property market by scaring people away from buying. With lower demand comes lower prices. If that thinking is true, there seems to be very little improvement on the horizon. On the other hand, there are others who say that falling prices in London are the direct result of George Osborne’s 2014 stamp duty changes and mortgage interest deductions being targeted by David Cameron shortly thereafter. Osborne’s goal was to scare foreign investors away from London. He succeeded. Cameron’s goal in changing the interest deduction rules was to discourage landlords from buying additional properties in London. He succeeded as well. It is interesting to note that the housing market has been relatively stable across the entire UK for the better part of five years. The only real decline has been observed in London. This lends credence to the second theory as being the primary culprit. If the real culprit were Brexit fears, it would make sense that housing would be down across the country. So where does that leave us in terms of affordable London housing for low-income families? That really depends on your appetite for risk. It would seem that now is the ideal time to take advantage of lower prices if you have the means to purchase property. It would be an ideal time for families to start looking for low-income mortgages in the hope of landing a London property while prices continue to fall. The gamble is that prices will continue falling to the point of new owners being underwater. On the other hand, London prices could start climbing again once Brexit is over and done with. The Leave side is confident that Brexit’s impact will be minimal, if negative at all. Many believe that within a few months of leaving the EU, Britain’s economy will actually rebound quite well. Let’s say that’s just what happens. Let us say Brexit comes and goes and the sky does not fall. Suddenly businesses and consumers alike discover life goes on without the EU. That could mean increased confidence, enough of it to stimulate the housing market again. Prices in London could jump as drastically as they did in 2012. None of what you read in this post should be construed as financial advice. That said, purchasing property in London now is something to think about – even if you don’t think you can afford a mortgage. The fact is that you will never know if you do not look into things. You may qualify for a low-income mortgage that would allow you to buy that London home you have always wanted. Do not dismiss the possibility out of hand. There are plenty of lenders willing to lend to low-income families with the right criteria. Your family could be one of them.